So, as I was reading this book I was thinking about what a fantastic and joy-filled review I was going to write for this book…however, then I finished the book. It was such a weak ending and it really disappointed me. I felt that things were just quickly resolved and the way things were resolved wasn’t very strong. There was too many flaws (thankfully there’s a second book). The first half of this was absolutely fantastic! The book moved along at a great pace and things were exciting but then the events started to become less and less…intriguing. I stopped caring about some of the characters and they seemed more distant to me as a reader. The story also seemed like it was dragged out really long and it felt sort of like it was repeating itself over and over. Don’t get me wrong I loved the story line, but this book had some serious issues with pacing and just having a basic story line, that really flowed. The title also sets the story up for failure. I would have taken this book way more seriously if it had a less…childish title (also the covers picture is pretty bad too). Going into the story I didn’t expect this to have any literary value at all so I was extremely surprised when I actually liked the story (until I got towards the end). 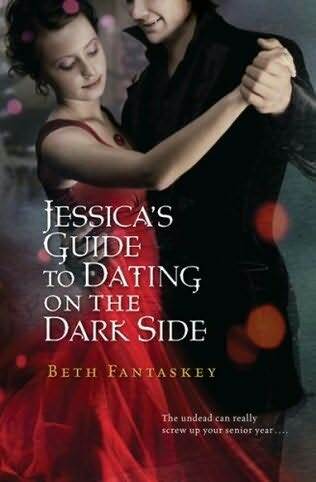 It’s a good story line; basically there’s a girl, Jessica, who is living the stereotypical “teenage life” and a tall, dark, handsome, stranger who shows up in town. Soon, Jessica finds out that she is a secret vampire princess (which she vehemently disagrees and doesn’t believe) and this stranger, Lucius, is her betrothed, and has been since their birth. However, Jessica doesn’t want to marry Lucius and so, he begins to pursue her. There is many twists in the story and things change, which is what kind of disappointed me about this book. Maybe it just didn’t go the way that I expected so that’s why I didn’t like the ending. But it’s up to you to decide now!